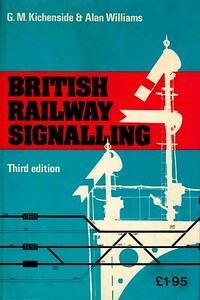 'BR Signalling Handbook' appeared in 1992, and from the 2nd edition, was renamed 'Modern Signalling Handbook'. The other two books, by Michael A Vanns, were one-offs. The earlier series "British Railway Signalling" (1963-80) were not ABCs per se, but were no doubt the foundation of those later books. 1964 British Railway Signalling, 1st edition, by G M Kichenside & Alan Williams, published November 1963, 104pp 7/6, code: 1278/72/100/1163, hardback, 7.5" x 5". This series predates the actual ABC books, but has been included for completion purposes. 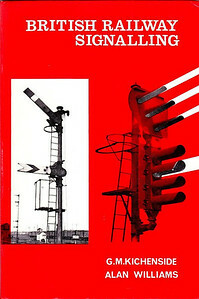 1968 British Railway Signalling, 2nd edition, by G M Kichenside & Alan Williams, published September 1968, 104pp 10/6, code: 0046-8/523/EXX/968, hardback, 7.5" x 5". This series predates the actual ABC books, but has been included for completion purposes. 1975 British Railway Signalling, 3rd edition, by G M Kichenside & Alan Williams, published 1975, 130pp £1.95, ISBN 0-7110-0571-0, no code, hardback, 7.5" x 5". This series predates the actual ABC books, but has been included for completion purposes. 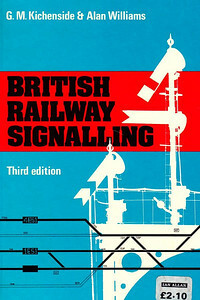 1975 British Railway Signalling, 3rd edition, by G M Kichenside & Alan Williams, published 1975, 130pp, price increased to £2.10, ISBN 0-7110-0571-0, no code, hardback, 7.5" x 5". This series predates the actual ABC books, but has been included for completion purposes. 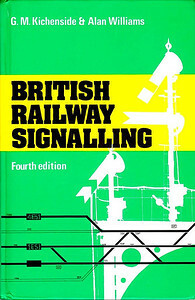 1980 reprint of 1978 British Railway Signalling, 4th edition, by G M Kichenside & Alan Williams, published 1978, reprinted July 1980, 136pp £3.95, ISBN 0-7110-0898-1, code: EX/0780, hardback, 7.5" x 5". This series predates the actual ABC books, but has been included for completion purposes. 1995 Signalling In The Age Of Steam, 1st edition, by Michael A Vanns, published June 1995, 112pp £7.99, ISBN 0-7110-2350-6. Issued at the same time as a BCA edition, and a special BCA edition, with adverts deleted, was issued in 1998, costing £6.99. Cover shows 'Castle' Class 4-6-0 7007 "Great Western" at Oxford. 1997 Signalboxes, 1st edition, by Michael A Vanns, published May 1997, 128pp £7.99, ISBN 0-7110-2518-5, code: 9705/C2. Cover photo of Havenhouse signalbox. Also produced as a BCA edition, costing £1.68. 1992 BR Signalling Handbook, 1st edition, by Stanley Hall, published 1992, 96pp £6.95, ISBN 0-7110-2052-3. Reprinted 1993 and October 1994, both costing £6.99, and a BCA edition was also released in October 1994. 1996 Modern Signalling Handbook, 2nd edition, by Stanley Hall, published September 1996, 96pp £7.99, ISBN 0-7110-2471-5. BCA edition cancelled. 2001 Modern Signalling Handbook, 3rd edition, by Stanley Hall, published October 2001, 96pp £8.99, ISBN 0-7110-2815-X. Issued as BCA edition at the same time. 2005 Modern Signalling Handbook, revised 3rd edition, by Stanley Hall, published October 2005, 96pp £8.99, ISBN 0-7110-3143-6. 2010 Modern Signalling Handbook, 4th edition, by Stanley Hall, published August 2010, 128pp £10.99, ISBN 0-7110-3462-4. 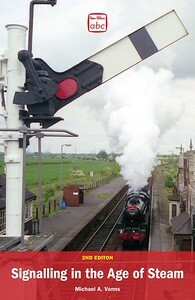 2012 Signalling in the Age of Steam, 2nd edition, by Michael A Vanns, published 17th May 2012, 112pp £10.99, ISBN 0-7110-3536-9. Spelling mistake on front cover - 'edition' is spelt 'editon'. 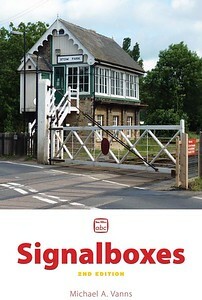 2013 Signalboxes, 2nd edition, by Michael A Vanns, published 4th July 2013, 128pp £13.00, ISBN 0-7110-3537-7, no code. Cover photo of signalbox & crossing at Stow Park. 2016 Modern Signalling Handbook, 5th edition, by Chris Hall, published November 2016, 144pp £13.50, ISBN 0-7110-3839-2.